We researched this article after receiving comments from some customers about out Sahara Tanning Serum. 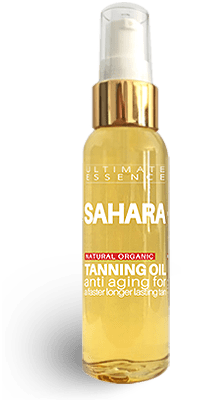 Customers said they has experienced less reddening of their skin than normal after sunbathing or during daily exposure to sun when applying our Sahara Tanning Serum. However, we had always pointed out that our Tanning Serums has no sun protection added and should be though of as having an SPF of 0. When we looked into this we discovered that many studies have recorded high SPF protection values in tests on some natural oils. The information about this on the internet is a bit “variable” to say the least. We have seen articles and research claiming anything from 6 to 50 for red raspberry seed oil SPF alone! Scientific research that we reviewed concluded that “non-volatile oils” can have SPF values between 2 and 8 and “volatile oils” between 1 and 7. This immediately raises concerns about websites claim essential oils have SPF values as high as 50 and so can be used as sunscreens. One good reason for creating a natural sun block is that commercial sunscreens contain many quite unpleasant chemicals. Although the big Cancer Charities and the FDA say they are lovely chemicals and that there is no problem many people with some academic qualifications do not agree. So, is there any natural oil or herb based alternative? Further investigation into Rice and Raspberry Seed Oils examined the effects of adding vegetable based oils, rice bran oil and raspberry seed oil to cosmetic formulations. They found that adding these natural oils allowed them to reduce the amount of synthetic chemicals needed in a commercial sunscreen. The most widely discussed natural oil with SPF protection is Red Raspberry Seed Oil. Carrot seed oil is proposed as an essential oil ideal for use in sunblocks. with significant antioxidant, antiseptic, anti fungal and fragrant properties with high levels of vitamin A.
Coconut Oil is a fantastic oil which you should have in your kitchen. Like culinary Argan Oil it has amazing benefits for your health and is delicious. Try a tablespoon or two a day for your health. We include this oil in our Sahara Tanning Serum as it helps to develop a deeper tan more quickly. This means you can get a better tan more safely with less UV exposure. Jojoba is excellent at locking in moisture and has anti-inflammatory properties. This is why it is included in our Sahara Tanning Serum – to help stop the drying of skin due to heat. It is also similar to the natural sebum produced on our scalp and in fact helps cleans the hair follicle – which is why Jojoba is also included in our Hair Magick Hair Repair Serum. Rice bran oil contains gamma oryzanol. Conclusion – Can Oils Offer Any Protection from the Sun? A natural, effective sunscreen seems to be quite possible to produce. The issue appears to be that research results vary. We are also not aware of any natural sunblocks that have been put through a cosmetics testing process by an organisation like the FDA. ( If you know of any please get in touch). Some of the products out there are claiming high SPF values but after examining the ingredients we often find that they contain titanium oxide or zinc oxide. Both are extremely effective sun UV blocking agents and also, being mineral, qualify as natural. So if you want a same natural and effective sun lotion and skin care regimen for the beach we suggest a simple zinc oxide cream for protection from the sun and natural oils to condition and help protect the skin from aging. We recommend our Sahara Tanning Serum for this. Hi, I am from New Zealand and am wanting to formulate a natural sunscreen. Do you know where I can go to get the SPF scientifically tested. The ingredient I am looking at is Raspberry Oil.